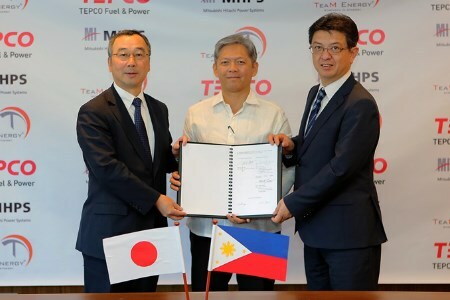 TEPCO Fuel & Power, Inc. (TEPCO FP) and Mitsubishi Hitachi Power Systems, Ltd. (MHPS) have begun providing a digital solution service for the Pagbilao power plant operated by TeaM Energy Corporation in the Philippines. TEPCO FP and MHPS have been working towards commercialisation of operations and maintenance (O&M) solutions services for power plants since concluding a basic business partnership agreement aimed at enhancing the efficiency of thermal power plants in September 2016. In April 2017, TEPCO FP and MHPS installed their jointly developed anomaly detection model at the Pagbilao Power Station. The system shares information over an IoT platform that enables early detection of anomalies in whole plant equipment. The initiative was highly assessed, and led to the first contract of its kind. The collaboration is a product of TEPCO FP's expertise in O&M and MHPS' capabilities in design, manufacturing, construction, and service solutions. This highly reliable Predictive Anomaly Detection system is expected to improve plant availability and lower O&M costs at the Pagbilao power plant. In the future, TEPCO FP and MHPS aim to jointly develop a comprehensive O&M solutions service business targeting coal-fired power plants in Southeast Asia, where they can utilise their respective business foundations. Furthermore, by broadly opening up this initiative to power generation operators in Japan and around the world, TEPCO FP and MHPS will work as ‘team Japan’ to enhance the asset value of power plants, reduce the use of fossil fuels, curb CO2 emissions, and to provide to the conservation of the global environment.